children walk out for the May Day Illegal Alien rallies. My brother pointed out the fact debate is taught at school, and asked him why couldn't he express his opinion if the school taught debate. Mr. Aguilar, being outwitted by a child, had no response. He banned the shirt any way. Go to a school board meeting. Whine like a liberal. Claim your brother's 1st Amendment rights were violated. (which they were, everybody is allowed to express their political opinions in the USA) Bring a lawyer....maybe even one from the ACLU. Make sure you're wearing a Che T-Shirt when you do. 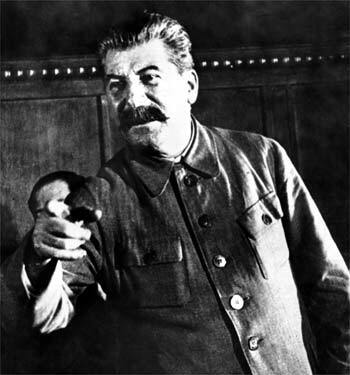 Comrade Hasan, It is mearly speculation on my part, but one must think that Mr. Aguilar felt threatened by the torture and execution clause being directed towards him. While the May Day Illegal Alien rallies was merely a means to help his Brother, Cousin, Uncle, Aunt, Grandmother, Grandfather, Friend, Relative, Aquaitance, and perhaps a Retarded Drug Pushing Brother in law too gain legal status here in this Pig Sty of a country. Maybe? Just Maybe? Old Aguilar was on drugs that day, like Mr. Limbaugh, and had an error of speach. I will personally forward this information to Harry Reid and the Red Army as we cannot tolerate dissidence. While the May Day Illegal Alien rallies was merely a means to help his Brother, Cousin, Uncle, Aunt, Grandmother, Grandfather, Friend, Relative, Aquaitance, Nieces, Nephews, 2nd Cousins, 2nd Cousins twice removed, Great Uncles, Great Aunts, and finally, Friends of Friends. I forgot a few hundred. The May Day article cited was such an inspiration! It pointed out how it is Amerikan capitalism imposed on the governments of Mexico, Pakistan, and others that force these people to come to Amerika to be enslaved. Then the same capitalist plantation owners dare to try and put up a fence, no doubt so they can "weed out" those too weak to be effective slaves to feed the rich! No more! Ah Commie Pupster, brilliance as usual!!! Wow. I live in California too, and I went to school with a t-shirt that had a picture of Osama with crosshairs on his forehead and the words "Got Ammo?" underneath, and didn't get in trouble. I'm surprised that I could get away with that when he wasn't able to even wear a shirt like that. Call up the ACLU and tell them that his school banned him from wearing his favorite Che t-shirt. I am absolutely disgusted at this "supervisor". If anything this child should be expelled from school for daring to insult a People's Hero like Comrade Che. DISGUSTING! What are we teaching the Children when we let one get away with the character assasination of a good man? Hmmm? What are we telling them? I'll tell you... we are telling them that it is A-OK to question our heavy handed rule. Yes, and before you know it your proles and my proles will take up arms against us if we don't stomp out little flames like this non-child. Now, if I may quote our MTE's estranged husband: "Education is a critical national security issue for our future and politics must stop at the school house door". Yes, all politics that go against the Party line, Comrade Estranged Husband of Her Excellency. JUST LIKE THAT! DON'T SAY WHAT KIND OF CHE T-SHIRT! DO IT HASAN! DO IT FOR THE REVOLUTION! On Monday afternoon we received a call from a KRNV News 4 viewer who said a business near downtown Reno was flying a Mexican flag above an American flag... which is in fact illegal. To read the relevant Federal law, please click here. This, after photos and comments about the flag were posted on Craigslist this morning. When we were able to have a photographer go and check everything out we found the story to be true. It also didn t take long before the situation provoked a strong reaction. Friggin' health department should cite the bea....er...ahh...Mexican(insert hyphen here)Americans for all the goobers, hockers, and lungers running down the front of his door...Somebody could get a disease or something. Mr. Brossard, if you see this....Thank You! You are True Blue! ....and please sharpen that KBar. That worries me. That reminds me too...need to get out the wet stone and do some sharpening myself. It is indeed refreshing to see the American Flag removed from this Bar. We can only hope Reno does not become another Tijuana. (If you want to see what Hell is like visit a Bar in Tijuana). All though they do serve Vodka! I do think the hammer, sickle and star would be a nice replacement. Oh my Lenin! I am confused! The Chairman makes a most compelling argument when he says that the kid should be expelled for insulting Che, not to mention the very strong argument the Chairman presents to why we can't allow these young minds of mush to think they can tell us what to do! Then Lakia transmits the message agreeing with the plan of Comrade Hasan to get the ACLU to fight for this kid. Both have a point... you just can't see them when they have their hats on. But I have to side with the Chairman, Lenin help me. On the veteran cutting down the flag... I know this may sound odd, but I think he would make an excellent progressive comrade with the proper training. Yes, he was misguided to express his love for the capitalist warmongering AmeriKa. But, but... he had good intentions! He acted on his good intentions! We can make use of this man's passion with the proper re-education. Comrade, I am surprised with you. Why so much leniency? He should have learned what happens when you smear the noble Che. He should have been lined up against the wall with the other counter revolutionaries. The great progressive state of Iran does it to children so why not. While your at it send put that stupidvisor up there for failing the party. Yes comrades, we must not faulter in punishing thought criminals not even if they are our own flesh and blood. That is the Stalin way. Always remeber that "the state is thicker than blood." Oh no the blue screen of death! Warning: This mind have commited an illlegal thought crime and will be shut down. Please call re-education camp techincal support for assitance. Chairman! Good to see your shining face of progressivism today! If I may, I just ran across this, and after getting over the seeming shocking story, I realized this may be a rising star under our very noses. This sounds like our kind of progressive! What is the Top Party Story of 2008?